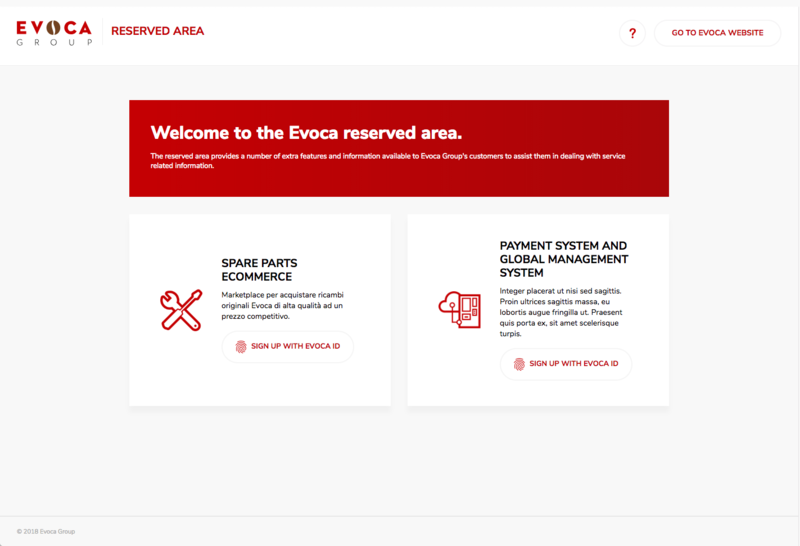 The pages dedicated to Evoca services, which you can access through an Evoca ID only, contain a button for Login/Register characterised by an icon for identification of EvocaID. 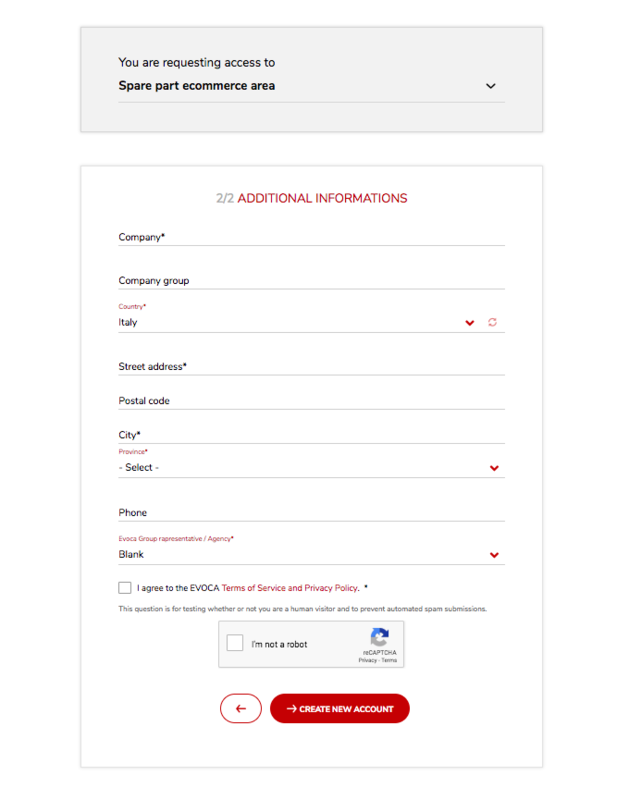 to access the Login or Register page. 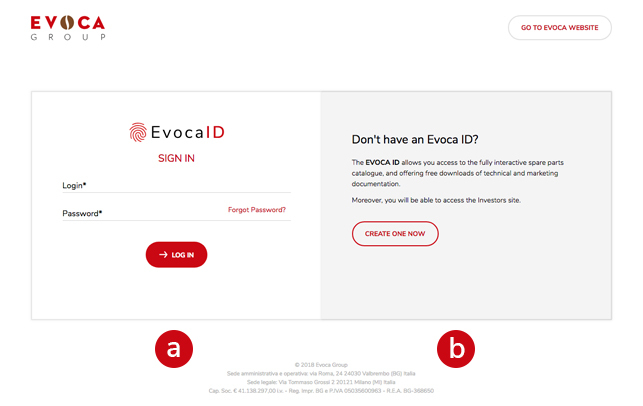 Enter your own Email* and Password in the Form on the left if you already have an EvocaID. to request for a new EvocaID. 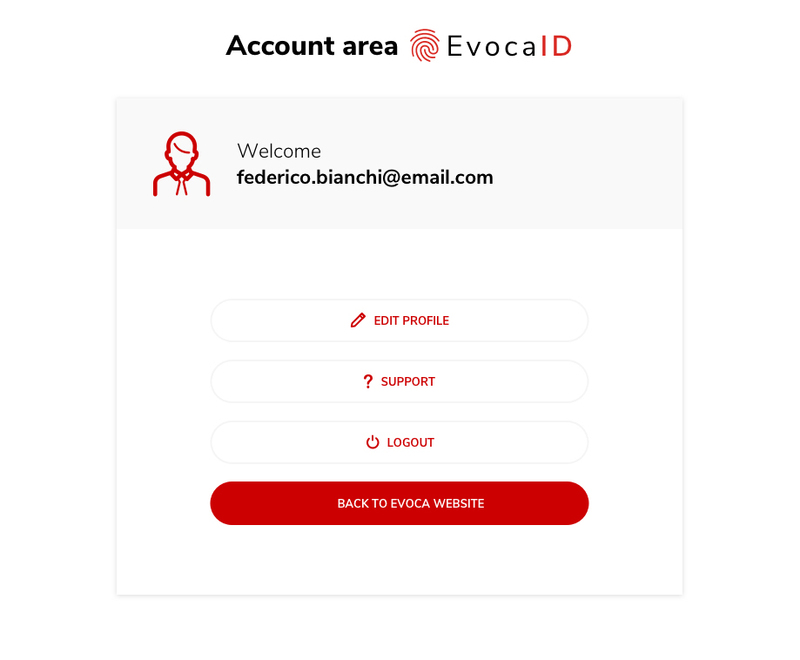 *The users for whom an EvocaID will be created, since they already have a registration in the previous Reserved Area, may access through the Username they have. 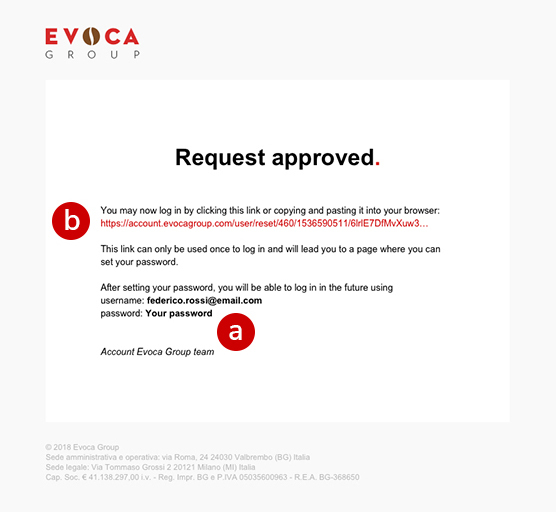 The procedure intended to request for an EvocaID always requires you to specify the service for which the request is being made. 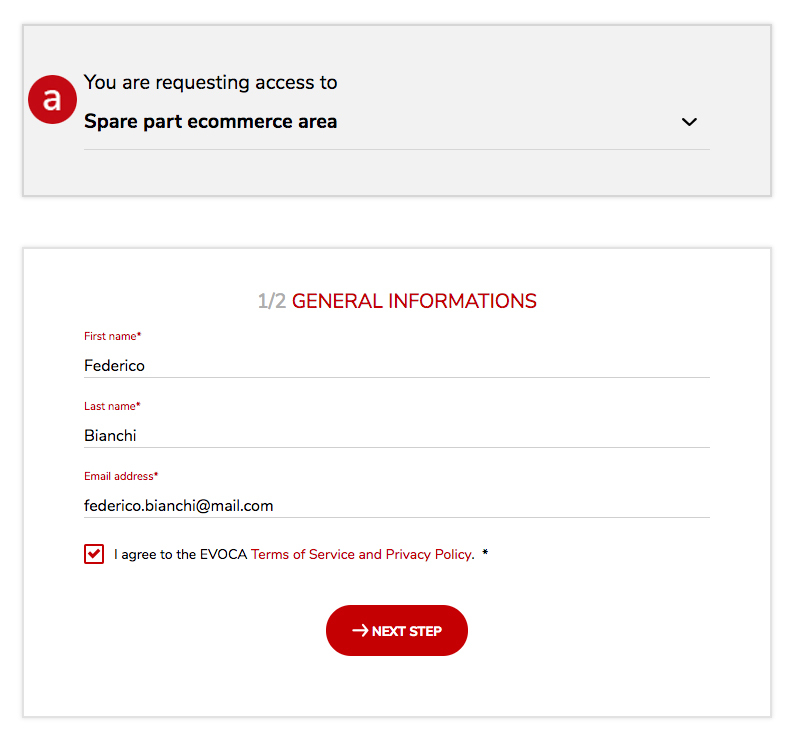 The system automatically identifies this information on the basis of the page of origin of the request (Step 1). However, the user will always be able to modify the information by clicking on the relative icon. 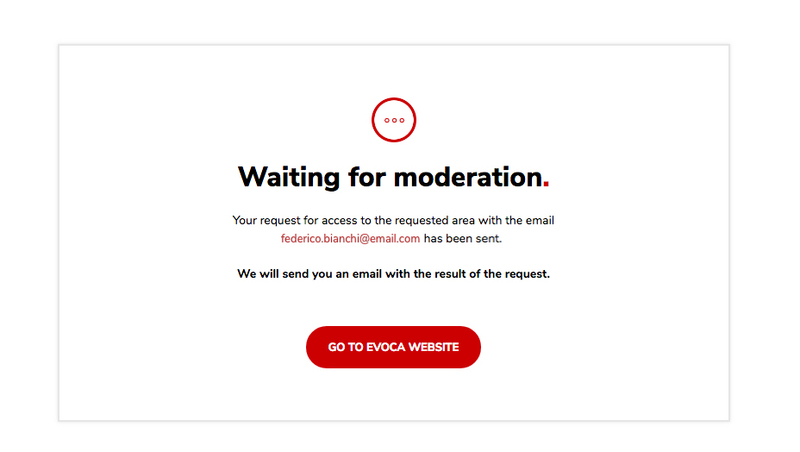 *The fields may vary according to the service for which the EvocaID is required. The user is notified of the positive outcome of his/her request and the authorisation of the procedure for approval. 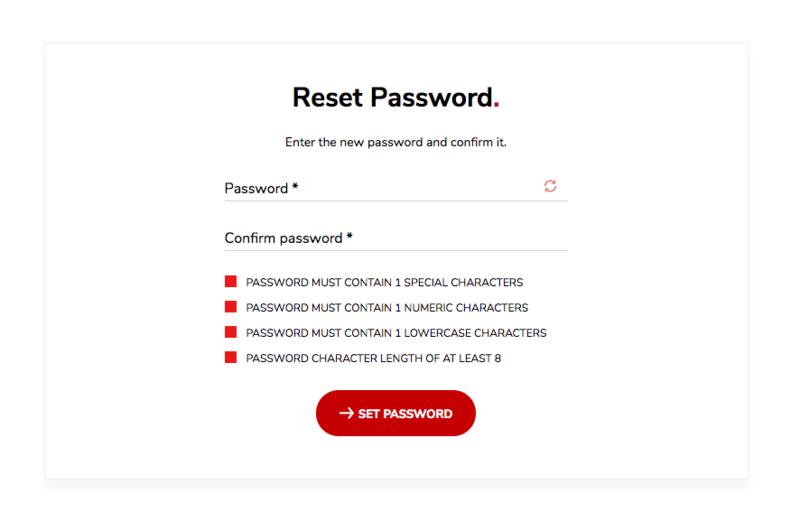 One-Time Password One-Time Password for his/her first access. Click on the Link and follow the procedures described in the message. 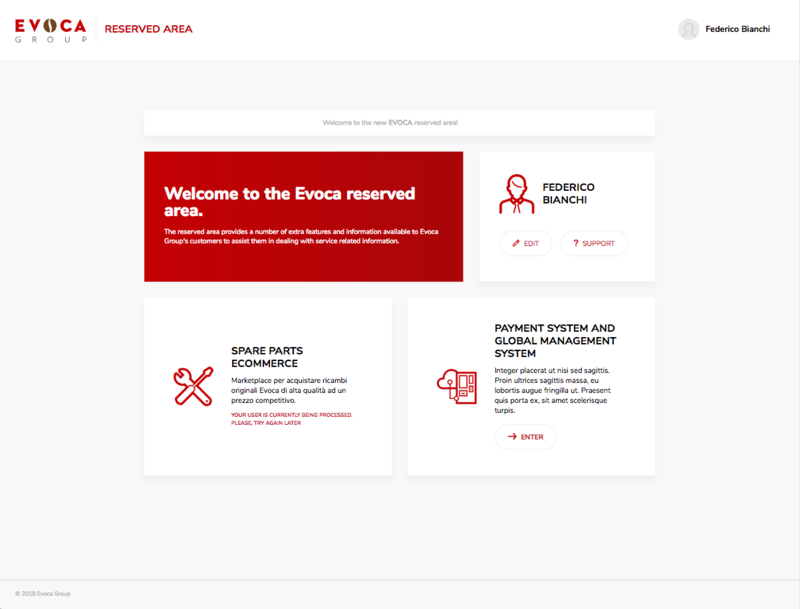 Registration is complete and you will be re-directed to the Dashboard of the reserved area. relative to the service you wish.